character in comfort, peace, and quiet. two, plus single Aerobed & single foam hassock/bed. single foam hassock/bed, in case guests want to sleep separately. local wine and local brie within easy reach. - 500 euros - July and August. We can accept credit card or other payments in euros or US dollars. 25% reduction for 4 or more weeks. a 200 euro damages deposit. We've never charged for damage. be 500 euros/month for 182 days of usage per year. renovated apartments at la Trousse and it is in the chateau itself. 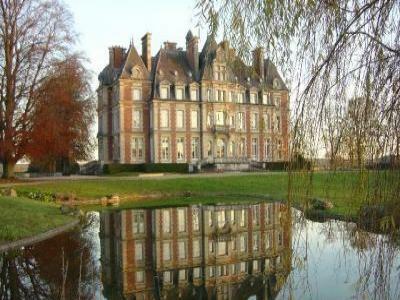 the least expensive way to own part of the chateau.